An initial evaluation is the process used to determine whether your student has a disability and is in need of special education and related services. A full and individualized initial evaluation must be done by the district before the provision of any special education or related services to a student with a disability can begin. 1. What is the district looking for during an initial evaluation? 2. How much time does the district have to complete an initial evaluation? The district has 35 days to complete the initial evaluation process from the time written parental consent to evaluate is obtained. If a district needs to complete an initial evaluation due to a request made following disciplinary action, then that initial evaluation timeline must be expedited. 3. 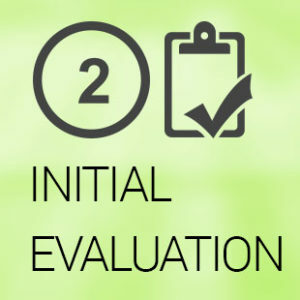 What is included in the initial evaluation process? (3) an evaluation group meeting, which includes the parents/guardians, to discuss the results of the evaluation report and make a determination regarding eligibility for special education. 4. Does the evaluation group have to consider the private evaluations I have paid for and/or any outside medical information provided by my student’s doctors? Yes. The evaluation report must include information obtained from private evaluations and/or outside sources for the group to consider when determining eligibility. 5. What happens if my student is found eligible? 6. What happens if my student is found ineligible and I disagree with that decision? (3) utilize one of the dispute options available to you under the IDEA. Even though your student may not be eligible for special education, the school district must still provide FAPE to a qualified student with a disability under Section 504.